This week LUME is back at Hundred Crows Rising, and we’re happy to present the Len Aruliah Sextet. Saxophonist Len Aruliah is active both in London and Vancouver, Canada, and released his first album ‘Full Circle’ in 2007 with a quartet playing his compositions. He formed his new sextet in 2011 to perform his current repertoire, and this is the ensemble that he brings to LUME. We look forward to a great night of original music from some top London musicians! See you back at the Crows…. This entry was posted in Uncategorized on September 27, 2013 by cath. 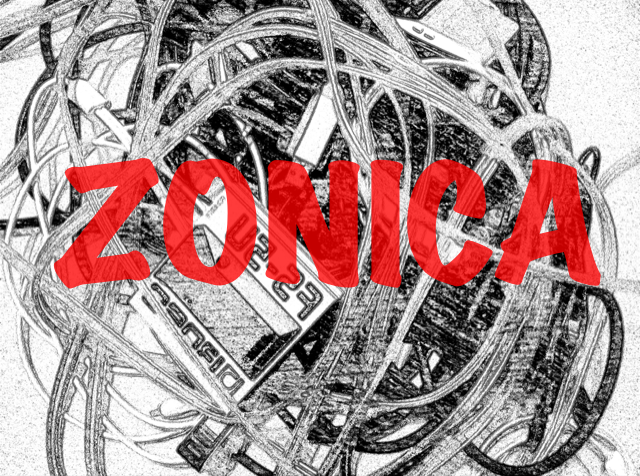 Zonica is an improvising ensemble interested in cosmic, sonic exploration. Prepare yourself for a spontaneous electro/acoustic cocktail of epic proportions! This entry was posted in Uncategorized on September 13, 2013 by deebyrne. Large ensemble special! This week we’re excited to welcome Jeff Chambers and his sixteen-piece behemoth The Jeff Chambers Variable n-tet to LUME. On the move as ever, we’re pitching up at our original home Hundred Crows Rising for this gig, so cast your minds back to a month or so ago and those halloumi burgers, coffee sacks and (subject to availability) rugs of yore. We’d love to see you there: five mins’ walk from Angel tube and a short climb up some stairs. Hundred Crows Rising, 58 Penton Street, London, N1 9PZ. Doors 8pm, £5 entry. This entry was posted in Uncategorized on September 6, 2013 by cath. Led Bib’s asylum seekers Toby McLaren, Chris Williams and Liran Donin are recruiting guest drummer David De Rose in a quest to explore urban beats, glitching harmonies and heavy grooves whilst drawing influences from a huge range of styles. 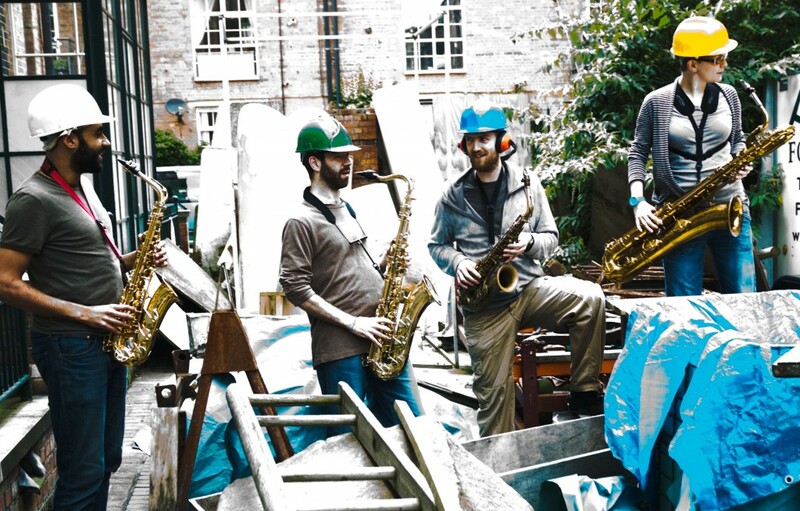 Expect crazy electronics, shivering sax solos and solid grooves from this unpredictable quartet. See you there! Doors 8pm, £5 entry. This entry was posted in Uncategorized on September 2, 2013 by deebyrne.